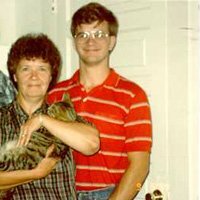 Since the Mother’s Day Holiday is such a special celebration of the year, it is only fitting that there is music for someone special on this day. After all, it only comes around once a year so we really need to make it special for her. Mother’s Day Music (actual title is Relaxing Spa Music: Mother’s Day) was created and produced out of my own love for my mom. The bond we shared runs deep and the more I mature, the more I realize just how much there is of my Mom in my own life. Track #7: Where Did You Go? This music was created to give Mom’s something extra special in the day, and to allow them to pamper themselves, getting rid of the stress they encounter in life. While this CD alone may not be an actual day at the spa, with the right atmosphere and some alone time, your mom can enjoy the next best thing. She could always use this CD together with a relaxing spa day or massage as well. Buy Relaxing Spa Music Mothers Day on itunes, Amazon, Rhapsody, Google Play, Spotify, or Microsoft Groove. These can be purchased as download files, streamed, or as a physical CD at Amazon. A mom is someone who is always there beside you no matter what, even when you may be headed down the wrong direction in life. You may not always agree, but a mom is like no other. She is the beginning of life and the person who nurtures the newborn from a child into an adult. Her love is shown as a constant throughout life. A mother is someone who can do millions of things all at once while keeping her own sanity together. She seems to always have the strength to keep going no matter what, the answers to all life’s problems and more understanding than the world could ever find. The wisdom that moms share with their children is priceless. It is worth more than gold. Whether you call your mother; mom, mommy, mama or any other term, she will always be the most special person in your life. So to all the mom’s out there and not just my own, thank you for all you do! We love you, Mom! Happy Mother’s Day! A special one of a kind gift for mom on Mother’s Day. Imagine mom being pampered all day at the spa as a thank you for all she has done in life. This beautiful CD of songs is just the perfect gift. Your mom will treasure it for years to come, and when she gets stressed or just wants to take a soothing bubble bath after a busy day, she will be able to relax and unwind to the sounds of Relaxing Spa Music: Mother’s Day. It will warm her heart, relax the mind and soothe those tired aching muscles. As with each CD, Don Shetterly creates the piano music as his hands touch the keyboard. None of his music is written before he plays it. It comes from his heart and flows as if it were a conversation of the universe. When each song is created, a title is added that reflects the mood and thoughts of what is going on during that moment. Each song is a creation of the universe with a very powerful message for all who listen. Download these from any of the major sites listed above and make your beautiful CD to give to your mother on Mother’s Day, or purchase the physical CD from CDBaby. Enjoy and relax to the beautiful sounds of the piano music. Don’t forget to check out all of Don’s relaxing and inspirational music in the various mp3 sites around the internet. While this CD is particularly designed for Mother’s Day, any one can enjoy the relaxing sounds as they relax from a busy day. Originally, this CD was created to be given as gifts in a Day Spa for Mother’s Day. 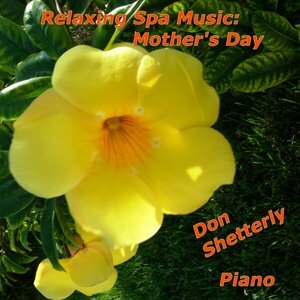 The CD, Relaxing Spa Music Mothers Day is all piano.